Zanov is one of the great electronic musicians of France of the past and present! 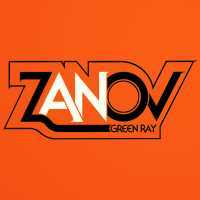 Zanov is really Pierre Salkazanov who recorded three albums of electronic music between 1976 and 1983, Green Ray was the very first. He takes a spacy, minimalist approach, utilizing an ARP 2600 plus a VCS-3. Groove is proud to re-release this Gem of the French history of Electronic Music! !